Research suggests smaller firms are still on the fence about cloud computing but will rapidly increase adoption over the coming years. Most businesses today can be divided into two categories: those that began operating before the cloud era and those born after. Companies born in the cloud — so-called “cloud natives” — tend to have business models that revolve around the delivery of cloud-based services, and they typically eschew on-premises network hardware, according to SearchCloudProvider. Other companies that started before the era of cloud computing have been rapidly adopting cloud services but often own some IT infrastructure. Check out the data points below for more information on how businesses are adopting cloud technologies. 1. 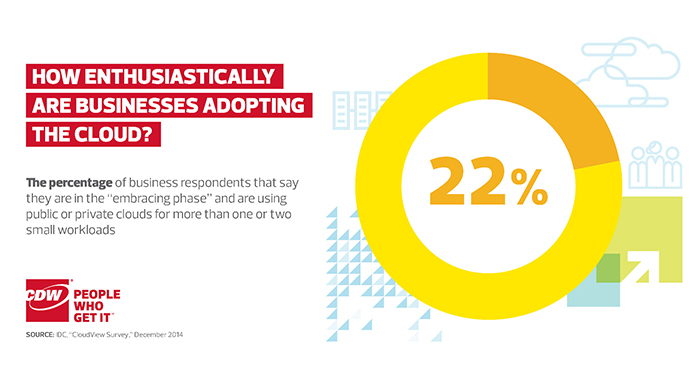 How enthusiastically are businesses adopting the cloud? Research firm IDC reported that another 38 percent of respondents were in the “deploying” phase and said they either had firm plans to deploy the cloud within 12 months or were using public or private clouds for one or two small workloads. IDC’s survey found that at businesses with between 50 and 500 workers, 22 percent were embracing the cloud and 42 percent were deploying it. 2. Small businesses seem undecided about the cloud. Smaller companies appear to be on the fence. IDC found that at companies with fewer than 50 employees, only 11 percent were embracing the cloud and 29 percent were deploying it. 3. 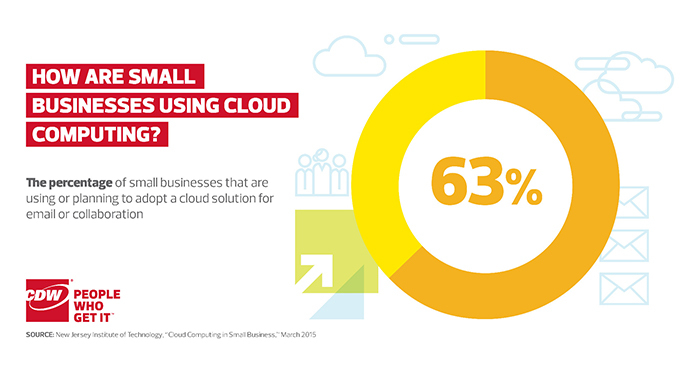 How are small businesses using cloud computing? Relatively simple Software as a Service adoptions appear to be popular cloud targets for small businesses, 56 percent of which are using or planning to deploy cloud-based office tools and productivity software. 4. 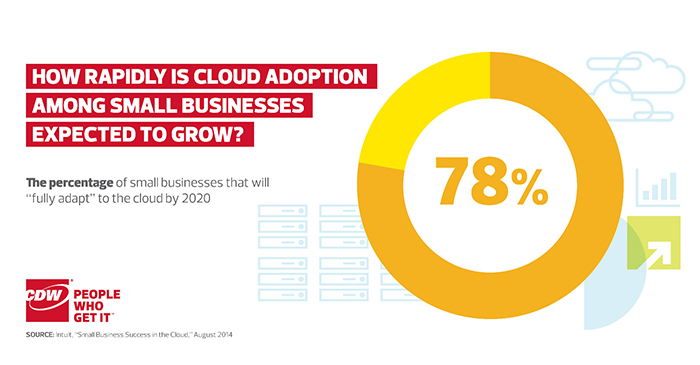 How rapidly is cloud adoption among small businesses expected to grow?